Who Is Insuring Your Insurance Company? Developing innovative techniques that work for people of all sizes. I read signs. During some of the long drives on my recent North and Central American Krav Maga tour I noticed many signs. They are often clever, witty, and designed to provoke some thinking. One read, "Who is insuring your insurance company?" A clear, direct, and valid question to ask. Indeed, you are trusting the insurance company, you are putting your faith in them, you are relying upon them to look after you, but can you really trust them? They are meant to insure you but who is insuring them? What if they go under, out of business, make mistakes, who will back them up? And if there is no one to come to their aid in a time of need where does that place you? Something to think about, something rather scary. In fact we have seen it again and again in our lifetime. You put your money in the bank but then there is a banking scandel and you lose your money. How many people lost their life savings by investing with "trust worthy" investors. Bernie Medoff, Shawn Merriman; people trusted them and ended up living in poverty. Who is insuring those who claim to be taking care of you? It is a a valid and painful question but one that needs to be asked. The billboard I saw asked this very question. And then it occurred to me to ask, Who is insuring your Krav Maga organization? Who is keeping your instructors honest? Where is the system of checks and balances and how do you know that those who are guiding you are being monitored? Of course your instructors must be members of a professional origination, a union, a guild. If someone just comes up to you and says..."Hey, I am from Israel, I served in the army, I am qualified to teach you Krav Maga", well, buyer beware, Be careful! So your instructors should be part of an organization that can monitor them, guide them and "keep them honest". But who is watching the organization? Who is keeping them honest? The answer, in most cases, is...no one. With IKI it is different. We answer those questions, here and now. We do not say, "This is not on our curriculum." Thus it is you, the student, the member of IKI, the local instructor, who keeps IKI honest. You have the right to ask and receive answers. You have the right to try the technique, on your own body, and if it does not make sense - you ask questions. Most of our changes, improvements, modifications came from students saying...Hey, this is challenging for me. For example the defense for gun threat pointed to the head; for years I was teaching it the way I was taught, but then a young woman said, "This is not working for me!" I did not criticize her, I watched her closely and saw she was doing it correct but she did not have the upper body strength to make it work, as I had been taught by my teacher. I saw that in fact she was right and the technique was wrong. So...we changed it and now the new version is being taught to men, women and children of all sizes in at least thirty countries worldwide. And the real geniuses around us create new solutions and methods by thinking outside the box...Moshe Katz. It's true. Most people just complain that the system doesn't work but you started your own system- IKI! In the words if Ghandi, you became the change you wanted to see in the world! That's awesome! I thank her for her kind words. The point here is we become the change we want to see. In IKI Krav Maga YOU are the change, it is all about you. You have the right to ask, to question. You are insuring that we stay honest. The wise and honest student is our best insurance. 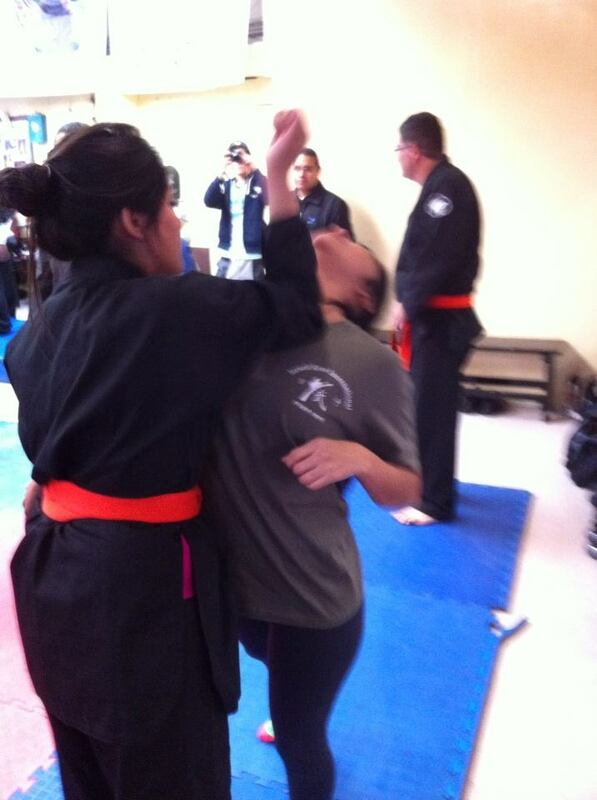 Krav Maga On Line training, be part of the change you want to see.